Dozens of innocent Sudanese protesters have been killed in the last month by the Sudanese government. his people into submission, but his plan is not working so far. Sudanese citizens, especially millennials, are taking to the streets of Khartoum to rally for his exit. Sudanese police are attacking their own people. They are throwing tear-gas at protestors in response, particularly at the University students and in a hospital. A doctor was killed in cold-blood for attempting medical treatment of wounded. Witnesses report that the doctor was trapped inside a house with protestors providing them with medical help when police forces began using tear gas to force them out of the house. The doctor decided to go outside with his hands raised, signaling that he was approaching peacefully. He asked if he was able to talk with the soldiers and they agreed, telling him to continue to walk towards them when they fired. 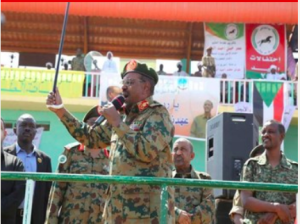 The Sudanese government is trying to manipulate the news cycle to leave the outside world in the dark about daily violent attacks. Sudanese government revoked journalists accreditation and arrested 38 of them for ‘fake news.’ Twitter, Facebook, and WhatsApp are blocked by Sudanese government too, however tech-savvy millennials are circumventing the government’s VPN system to continue posting scenes of the protests for the world’s viewing. The Sudanese government is taking away citizens’ human right to education. University professors from Khartoum University have been arrested for attempting to participate in the protests, the rest of them had been blocked from joining and were trapped in university buildings surrounded by security forces for three hours.